As I still haven't shown you all the presents I made, I thought I'd better get my act together and get this post written. There are still two presents that have yet to be delivered due to illness but I can show you the rest. The first one is a present for my Sister-In-Law's lovely new husband, the father of H, who I gave the felted bag to. It is always hard making something for a man, especially one you don't spend a lot of time with. I wasn't sure whether a made gift would be well received but I thought I'd take a punt on knitting a scarf. Now this particular gentleman is quite a tall and broad shouldered individual, so I thought in terms of "man-sized". I managed to pick up some lovely yarn from Mary-Clare. It is a super-bulky yarn from Katia, called Tierra. It is roving type yarn made from 70% Wool and 30% acrylic. This simple scarf knitted up in a few hours. As you can see, it was a simple seed stitch pattern, which I knitted until I ran out of yarn. It is enormous and ooo so squishy. The reaction to this scarf was perfect. Exactly the kind of thing a knitter likes to see. The recipient immediately held the scarf up and buried his face in it, he emerged grinning. I had no idea that this scarf would be so well received, but I think I will have to try more makes for this family, as they certainly seem to appreciate it! I decided that Martin needed some cabled mittens to match. I picked up some Rowan Felted Tween Aran and got busy! I love knitting with this yarn, it is so light, warm and springy. 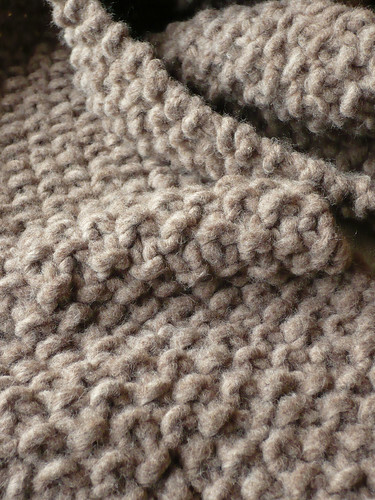 The texture is perfect for a rugged outdoorsy type who loves yarn! The pattern is Cruiser by Cailyn Meyer. It is a free pattern and I knit these in the largest size. 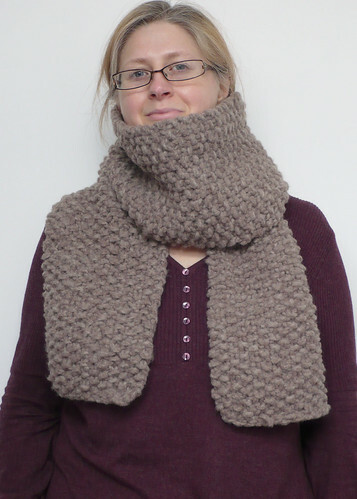 I really enjoyed knitting this project as the cable is easy and fun. The thumb is an afterthought thumb and I think it places it nicely. 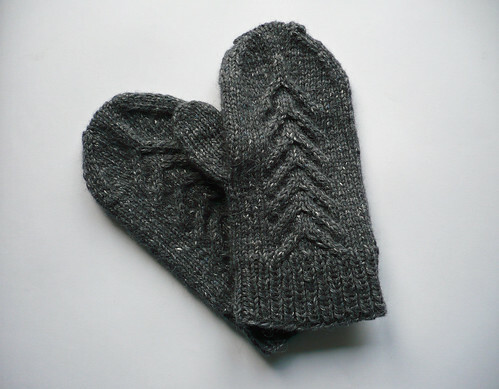 When I tried these mittens on to take photos I was very taken with them. I can definitely see myself making these again. I think simply changing the yarn choice would completely alter the look. 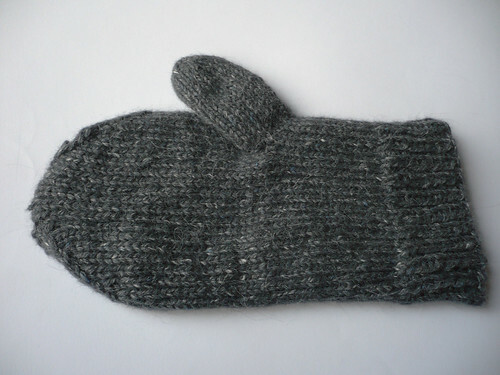 A soft pale merino would instantly change them into feminine mittens. 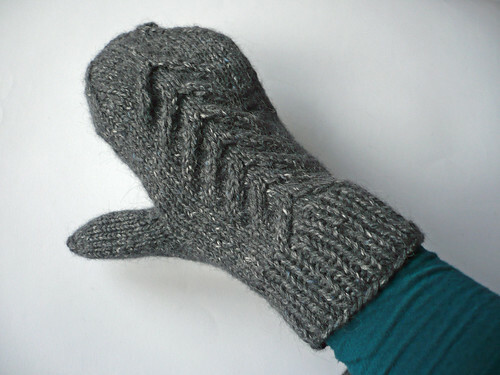 I could grow very fond of mittens, I have some on my needles at the moment. I'll tell you all about them on Wednesday - promise!